U.S stocks traded lower yesterday as investors’ hopes of a trade deal between China and the U.S dimmed. The Dow Jones Industrial Average fell 71 points, while the S&P 500 pulled back 0.3 percent. The NASDAQ fell 0.4 percent. 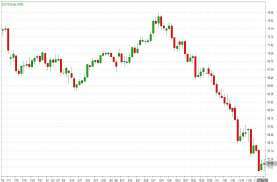 The market fell to its low of the day — with the Dow dropping more than 160 points — after the South China reported that White House advisor Peter Navarro would be attending the dinner between President Donald Trump and Chinese leader Xi Jinping in Buenos Aires at the G-20. CNBC later confirmed Navarro’s attendance. News of his attendance dampened hopes that a trade deal could be hatched at the dinner given his longstanding hawkish tone on U.S-China trade. Earlier this month, Navarro said any deal between the U.S. and China would be on Trump’s terms, not Wall Street’s. These comments were later disavowed by Larry Kudlow, director of the National Economic Council. 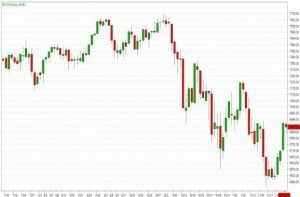 Trading in U.S stocks became even more volatile after Dow Jones reported, citing sources, the U.S and China were looking into a deal to de-escalate trade tensions. The Dow Jones Industrial Average declined 0.11%. The best performers of the session on the Dow Jones Industrial Average were Boeing Co, which rose 2.72% or 9.06 points to trade at 342.56 at the close. Meanwhile, Pfizer Inc. added 1.36% or 0.61 points to end at 45.51 and Merck & Company Inc. was up 0.88% or 0.68 points to 77.91 in late trade. 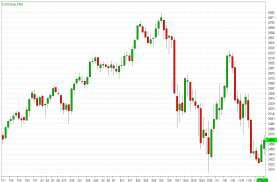 The worst performers of the session were Intel Corporation, which fell 2.37% or 1.16 points to trade at 47.70 at the close. Visa Inc. declined 1.61% or 2.28 points to end at 139.10 and American Express Company was down 1.40% or 1.58 points to 111.31. The NASDAQ index fell 0.25%. The top performers on the NASDAQ were Adial Pharmaceuticals Inc. which rose 100.00% to 2.80, Tonix Pharmaceuticals Holding Corp which was up 83.42% to settle at 6.970 and Kirklands Inc. which gained 34.13% to close at 10.10. The worst performers were ShiftPixy Inc. which was down 32.35% to 2.99 in late trade, Bio Path Holdings Inc. which lost 26.57% and Cleantech Solutions International Inc. which was down 24.23%. Oil reversed course and rose yesterday, after industry sources said Russia had accepted the need to cut production, together with OPEC. The price is still set for its biggest one-month fall in November since the depths of the financial crisis in 2008, having lost more than 22 percent so far. U.S crude futures rose 81 cents, or 1.6 percent, to $51.10, after earlier dropping below $50 for the first time in over a year. OPEC and non-OPEC producers meet in Vienna next week to discuss a new round of supply cuts of 1 million to 1.4 million bpd and possibly more to prop up prices. The Russian Energy Ministry held a meeting with the heads of domestic oil producers on Tuesday. Russian President Vladimir Putin, whose country is the world’s second biggest oil producer, said on Wednesday he was in touch with OPEC and ready to continue cooperation on supply if needed, but he was satisfied with an oil price of $60. U.S. crude inventories have hit their highest in a year, and are now only 80 million barrels below March 2017’s record 535 million barrels. Gold rose yesterday after Federal Reserve Chair Jerome Powell’s comments boosted perception the central bank would go slow on interest rate hikes next year, while palladium was trading at record levels due to a shortage in supply. Spot gold was up 0.3 percent at $1,224.86 per ounce. U.S gold futures were steady at $1,224.1 per ounce. The hint from the Fed that they are closer to ending the current rate hike cycle caught the markets somewhat by surprise. Treasury yields and dollar dropped back, and that was quite supportive of gold. Higher interest rates increase bond yields and tend to make non-yielding bullion less attractive. They also tend to boost the dollar, in which gold is priced. Gold prices jumped as much as 1 percent after Powell’s speech on Wednesday, recovering from a two-week low of $1,210.65 hit earlier. But gains in the precious metal were limited as Powell’s dovish tone helped revive risk appetite, driving world stocks to their highest in more than two weeks, while the dollar and bond yields fell. Powell said the central bank’s policy rate is now “just below” estimates of a level that neither brakes nor boosts a healthy U.S. economy. Investors were waiting the release of the minutes of the U.S central bank’s November meeting for further clues on the Fed’s monetary tightening path. Palladium was down 0.1 percent at $1,182.50 per ounce, after earlier hitting a record high of $1,186.50. This is a very fundamental story of demand outstripping the supply. It’s been six or seven years of sustained market deficit, which has kept the market exceedingly tight. Spot silver was down 0.2 percent to $14.29 per ounce. Platinum rose 0.2 percent to $823 per ounce after falling to a seven-week low of $809.50 on Wednesday. Copper also extended gains yesterday as investors bought riskier assets on speculation U.S interest rates may be near a peak. Wheat gained more ground on expectations of higher demand for U.S supplies as the Black Sea region runs of surpluses next year. 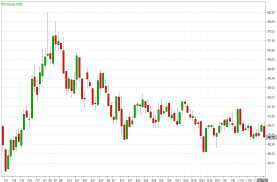 Soybean futures were largely unchanged yesterday, as the market took a breather after strong gains in the last two sessions, ahead of trade talks between Washington and Beijing at the G20 meeting this week. The U.S dollar dropped sharply on the back of Fed Chair Powell’s comments on interest rates. USD/JPY extended slightly lower but GBP/USD retreated and EUR/USD was unchanged. Powell’s view that rates are just under neutral levels is a sign that they intend to slow their pace of tightening next year. However, in yesterday’s note, we pointed out that Fed futures did not change by much because Powell simply said what the market was waiting to hear. Investors had already downplayed expectations for tightening next year with the futures market only pricing in 1 full rate hike in 2019. Yesterday’s U.S. economic reports did nothing to confirm or deny the central bank’s caution – personal income and spending grew more than expected but jobless claims increased and pending home sales fell sharply. Meanwhile, the FOMC minutes did not help the dollar. Currency movements were also restrained by concerns about the upcoming G20 meeting. President Trump sits down with President Xi today and we have no idea how the talks will go. The biggest turnaround yesterday was in the euro. At the start of the NY session, euro was one of the weakest currencies because there were reports that the US would levy tariffs on EU autos before Christmas. Concerns about the impact of the tariffs forced investors to ignore better labor data from Germany and stronger Eurozone confidence. Shortly after the NY open, however, the European Commission denied those reports and the EUR/USD u-turned for a rally to 1.14. The other big story was oil. Before the NY session began, the price of crude fell below the critical $50 mark. In response USD/CAD traded above 1.33. However Russia’s talk of output cuts reversed the slide and sent prices sharply higher (crude ended the day up 2%) and as a result, USD/CAD gave up its gains to end the day unchanged. Canada will be in focus today with quarterly and monthly GDP numbers due for release. The single currency traded higher yesterday. Euro zone economic sentiment continued to deteriorate in November but less than predicted, thanks to an unexpected rise in optimism in the industry, data showed yesterday. Economic sentiment in the 19 countries sharing the euro eased to 109.5 in November from 109.7 in October. 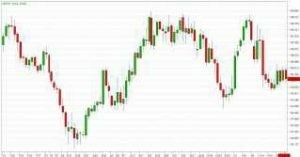 Overall, the EUR/USD traded with a low of 1.1347 and a high of 1.1400 before closing the day around 1.1392 in the New York session. The Japanese Yen posted gains yesterday. On the release front, Japanese retail sales jumped 3.5%, its highest level since December 2017. In the U.S., the Core PCE Price Index dropped to 0.1%, shy of the estimate of 0.2%. Personal Spending improved to 0.6%, above the estimate of 0.4%. On the labor front, unemployment claims jumped to 234 thousand. Overall, the USD/JPY traded with a low of 113.17 and a high of 113.64 before closing the day around 113.46 in the U.S session. The British Pound fell against the U.S Dollar as Theresa May was grilled by a Commons committee over her Brexit deal. 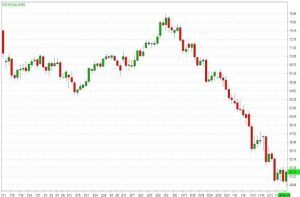 The Prime Minister defended her withdrawal agreement in front of the House of Commons liaison committee just a day after the Bank of England’s bleak no-deal forecast, in which GDP, house prices and the pound itself would fall sharply. 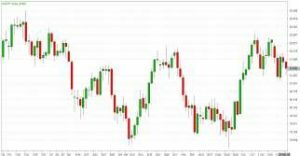 Overall, the GBP/USD traded with a low of 1.2753 and a high of 1.2847 before closing the day at 1.2785 in the New York session. The Canadian Dollar edged higher, building on gains from the day before as oil prices rallied and data showed that Canada ran a smaller-than-expected current account deficit in the third quarter. The country’s current account deficit narrowed to $10.34 billion in the third quarter from a revised $16.68 billion deficit in the second quarter. Overall, USD/CAD traded with a low of 1.3251 and a high of 1.3310 before closing the day at 1.3281 in the New York session. 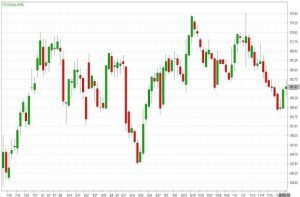 The Australian Dollar closed slightly higher yesterday. New figures released by The Australian Bureau of Statistics have barely moved the Australian dollar against the greenback, despite better than expected CAPEX data. ABS figures show an uptick in September private capital expenditure (CAPEX) with the CAPEX slipping 0.5%. Overall, AUD/USD traded with a low of 0.7293 and a high of 0.7342 before closing the day at 0.7310 in the New York session. EUR/JPY is trading below 14, 50 and 100 days moving average. Fast stochastic is giving a bullish tone and MACD is also issuing a bullish stance. The Relative Strength Index is above 51 and lies above the neutral zone. In general, the pair has gained 0.06%. Currently, GBP/JPY is trading below 14, 50 and 100 days moving average. Fast stochastic is issuing a bearish tone and MACD is indicating a bullish stance. The Relative Strength Index is above 45 reading and lies below the neutral zone. On the whole, the pair has lost 0.47%. Currently, the cross is trading above 14, 50 and 100 days moving average. Fast stochastic is giving a bullish tone and MACD is also indicating a bullish stance. The Relative Strength Index is above 60 reading and lies above the neutral region. In general, the pair has gained 0.01%. This cross is currently trading above 14, 50 and below 100 days moving average. Fast stochastic is indicating a bullish tone and MACD is also issuing a bullish signal. The Relative Strength Index is above 59 and lies above the neutral region. On the whole, the pair has gained 0.53%. This cross is trading below 14, 50 and 100 days moving average. Fast stochastic is issuing a bullish stance and MACD is indicating a bearish tone. The Relative Strength Index is above 41 and lies below the neutral region. In general, the pair has lost 0.07%. The U.S Dollar tumbled from two-week highs yesterday after Federal Reserve Chairman Jerome Powell said that interest rates are just below neutral, raising expectations that the U.S. central bank is closer to the end of its rate hike cycle. Powell said the policy rate, at 2-2.25 percent, is now “just below” the broad range of estimates of neutral, which in September was 2.5-3.5 percent. That contrasts with comments on Oct. 3 when Powell said the Fed might raise rates past neutral, adding that they are probably “a long way” from that point. The Fed has not raised the rates in order to gain ground on neutral between Oct. 3 and today, so therefore his view of the economy has declined. The dollar has been under pressure in recent weeks on signs that the Fed might reduce the pace of rate increases amid slowing global growth, peak corporate earnings and the escalating trade tensions. U.S President Donald Trump has also expressed frustration with Fed rate hikes. Trump said in a Washington Post interview on Tuesday that he was “not even a little bit happy” with the Fed chairman and that the central bank’s policies are hurting the economy. Minutes from the Fed’s Nov. 7-8 meeting, to be released today, will next be evaluated for further indications of how many more times the U.S central bank is likely to hike interest rates. Investors are also focused on the G20 summit in Buenos Aires on Friday and Saturday, where Trump and his Chinese counterpart, Xi Jinping, are scheduled to discuss contentious trade matters. German Finance Minister Olaf Scholz said yesterday he wants euro zone reforms to include changing the European Stability Mechanism bailout fund to a European Monetary Fund (EMF) to support members’ states when needed. The British Pound was already higher before the government’s analysis of Brexit scenarios report was released yesterday. The beleaguered currency actually managed to climb further higher – hitting the $1.28. The single currency gained as Euro zone members aim to agree reforms to make their currency union more resilient when they meet next week. German Finance Minister Olaf Scholz said he wanted to promote a euro zone budget as part of the EU budget to help investment, economic convergence and stability in the euro zone. Overall, the EUR/USD traded with a low of 1.1265 and a high of 1.1386 before closing the day around 1.1364 in the New York session. The Japanese Yen pair ticked lower in the Wednesday session. On the release front, U.S. Preliminary GDP for the third quarter gained 3.5%, just shy of the estimate of 3.6%. This follows an identical gain of 3.5% in the Advanced GDP release. Today promises to be a busy day, as the U.S releases three key indicators. Overall, the USD/JPY traded with a low of 113.42 and a high of 114.01 before closing the day around 113.66 in the U.S session. The British Pound ticked higher yesterday. On the release front, the BoE released its financial stability report. In the U.S, the key event was Preliminary GDP, which gained 3.5% in Q3. This follows an identical gain of 3.5% in the Advanced GDP release in October. Today, the U.K releases Net Lending to Individuals as well as GfK Consumer Confidence. 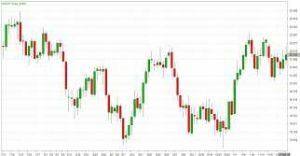 Overall, the GBP/USD traded with a low of 1.2730 and a high of 1.2845 before closing the day at 1.2821 in the New York session. 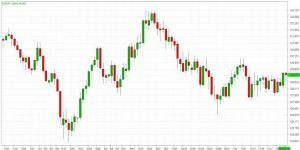 The Canadian Dollar weakened to a five-month low against its U.S counterpart yesterday as oil prices declined and ahead of the potential signing of a new North American trade pact this week. The price of oil was pressured yesterday by rising U.S inventories and doubts over whether an OPEC-led output cut will be agreed next week. Overall, USD/CAD traded with a low of 1.3239 and a high of 1.3357 before closing the day at 1.3274 in the New York session. The Australian Dollar gained as the market waited for some clarity to emerge on Sino-US trade, while soft economic data at home had only a fleeting impact. US President Donald Trump is open to reaching a deal over dinner on Saturday with Chinese leader Xi Jinping but is ready to hike tariffs if there is no breakthrough, White House economic adviser Larry Kudlow said on Tuesday. Overall, AUD/USD traded with a low of 0.7219 and a high of 0.7326 before closing the day at 0.7308 in the New York session. EUR/JPY is trading below 14, 50 and 100 days moving average. Fast stochastic is giving a bearish tone and MACD is issuing a bullish stance. The Relative Strength Index is above 52 and lies below the neutral zone. In general, the pair has gained 0.61%. Currently, GBP/JPY is trading below 14, 50 and 100 days moving average. Fast stochastic is issuing a bearish tone and MACD is indicating a bullish stance. The Relative Strength Index is above 49 reading and lies below the neutral zone. On the whole, the pair has gained 0.50%. Currently, the cross is trading above 14, 50 and 100 days moving average. Fast stochastic is giving a bullish tone and MACD is also indicating a bullish stance. The Relative Strength Index is above 61 reading and lies above the neutral region. In general, the pair has gained 1.02%. This cross is currently trading above 14, 50 and below 100 days moving average. Fast stochastic is indicating a bullish tone and MACD is also issuing a bearish signal. The Relative Strength Index is above 54 and lies above the neutral region. On the whole, the pair has gained 0.03%. This cross is trading below 14, 50 and 100 days moving average. Fast stochastic is issuing a bearish stance and MACD is also indicating a bearish tone. The Relative Strength Index is above 41 and lies below the neutral region. In general, the pair has gained 0.11%. U.S stock indexes rallied more than 1.5percent yesterday after Federal Reserve Chairman Jerome Powell said the policy rate was ‘just below’ neutral, easing worries of a faster pace of interest rate hikes next year. The Fed’s gradual interest-rate hikes are meant to balance risks as it tries to keep the economy on track, Powell said, but offered few clues on how much longer the U.S. central bank would raise interest rates in the face of a global slowdown and market volatility at home. Ten of the 11 major S&P sectors were higher. 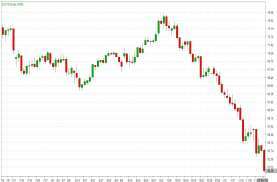 Markets also took heart from White House economic adviser Larry Kudlow’s comments on Tuesday that opened the possibility that the United States and China would reach a trade deal at the upcoming G20 Summit. 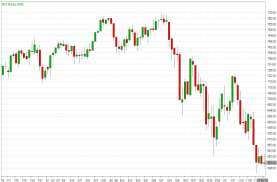 The Dow Jones Industrial Average was up 477.47 points, or 1.93 percent, the S&P 500 was up 42.76 points, or 1.59 percent and the NASDAQ was up 142.77 points, or 2.02 percent. Advancing issues outnumbered decliners by a 3.45-to-1 ratioon the and by a 2.96-to-1 ratio on the NASDAQ. The Dow Jones Industrial Average added 2.50%. The best performers of the session on the Dow Jones Industrial Average were Caterpillar Inc., which rose 4.95% or 6.17 points to trade at 130.77 at the close. Meanwhile, Boeing Co added 4.86% or 15.47 points to end at 333.50 and Visa Inc. was up 4.02% or 5.47 points to 141.38 in late trade. The worst performers of the session were Verizon Communications Inc, which fell 0.97% or 0.59 points to trade at 60.06 at the close. United Technologies Corporation added 0.04% or 0.05 points to end at 122.73 and Dow DuPont Inc. was up 0.07% or 0.04 points to 57.22. 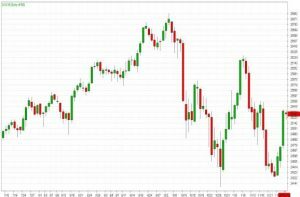 The NASDAQ index gained 2.95%. The top performers on the NASDAQ were Gaming Partners which rose 70.80% to 13.13, Alliqua BioMedical Inc. which was up 60.24% to settle at 2.660 and Ferroglobe PLC which gained 25.56% to close at 2.26. The top performers on the NASDAQ Composite were Gaming Partners which rose 70.80% to 13.13, Alliqua BioMedical Inc. which was up 60.24% to settle at 2.660 and Ferroglobe PLC which gained 25.56% to close at 2.26. Oil prices fell yesterday, continuing a recent run of losses, after U.S crude inventories rose for the 10th week in a row. The market also remains nervous over whether OPEC-led producing countries will reach an accord next week on output cuts. Saudi Arabia said yesterday it would not cut output alone and Nigeria stopped short of committing to a new push to curb supplies. U.S West Texas Intermediate crude fell $1.27, or 2.5 percent, to $50.29, the lowest settle price since early October 2017. U.S crude stockpiles rose by 3.6 million barrels in the week to Nov. 23, exceeding expectations. After falling to 2½-year lows in September, crude stocks have risen 14 percent with 10 straight weeks of increases. The market continues to come under pressure due to worries of a supply glut and slowing global demand growth. Crude’s drop since October is on a par with the 2008 price crash and steeper than that of 2014-2015, both of which prompted OPEC to agree output curbs to support the market. Gold prices recovered from two-week lows, rising as much as 1 percent as the dollar fell after Federal Reserve Chairman Jerome Powell offered little clues on the pace of future interest rate hikes in a cautious speech. Meanwhile, palladium prices hit a fresh record high at $1,186.30 per ounce. While there was “a great deal to like” about U.S. prospects, the bank’s gradual interest-rate hikes are meant to balance risks as it tries to keep the economy on track, Powell said. Powell’s comments suggest that 2019 may be more of a wait-and-see approach and the assumption of any hikes may be premature. Spot gold was up 0.6 percent at $1,221.68 per ounce after rising as much as 1 percent to $1,226.24. Prices fell to its lowest level since Nov. 15 at $1,210.65 earlier in the session. U.S gold futures were up 0.7 percent at $1,222. Investors will also keep a close watch for the minutes from the central bank’s Nov. 7-8 meeting, scheduled to be released today, for indications on the rate hike trajectory in 2019. The Fed has raised rates three times this year. The dollar index, which measures the greenback against a basket of currencies, was down 0.3 percent after the Fed speech. Meanwhile, U.S President Donald Trump is likely to meet his Chinese counterpart on the sidelines of the G20 meeting later this week to discuss the trade dispute between the major economies. Bullion has largely lost out to the dollar as a safe haven asset this year as the U.S-China trade war unfolded against a backdrop of rising U.S interest rates. Silver rose 1.1 percent to $14.29 per ounce, while platinum fell 1.1 percent to $821.30, having earlier touched its lowest in more than a month, at $814.50. Copper edged higher yesterday after declining for three straight sessions, while other industrial metals moved in tight ranges amid uncertainty over the direction of the U.S.-China trade war. 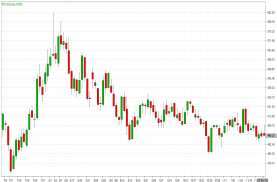 Soybean futures rose yesterday on short-covering as investors waited to see if expected talks between Washington and Beijing at a G20 summit this week will defuse a trade dispute that has choked U.S soybean exports to China. Corn and wheat followed the firm tone, drawing additional support from a sharply weaker Dollar. 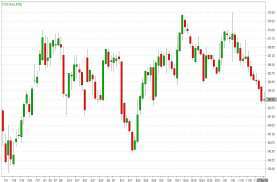 U.S stocks made small gains yesterday after White House economic adviser Larry Kudlow said a meeting between President Trump and his Chinese counterpart on was an opportunity to “turn the page” on a trade war. 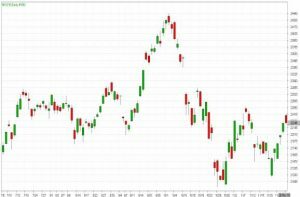 All three major U.S indexes turned positive after spending much of the session in negative territory, after Kudlow’s comments days ahead of the high-stakes dinner between the two leaders after the G20 summit in Buenos Aires. But Kudlow also said the White House has been disappointed so far in China’s response to trade issues with the United States. On Monday, Trump threatened to move ahead with additional tariffs on Chinese goods, due to take effect on Jan. 1. Industrials were also the biggest drag on the Dow, led by United Technologies Corp which was down 5.5 percent following its announcement late Monday that it would divide its aerospace, elevators and building segments into three discrete companies. 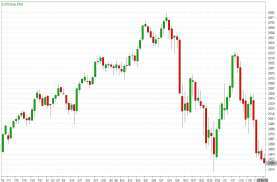 The Dow rose 25.41 points, or 0.1 percent, the S&P 500 gained 3.54 points, or 0.13 percent and the NASDAQ added 4.69 points, or 0.07 percent. The Dow Jones Industrial Average added 0.44%. 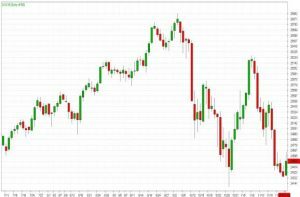 The best performers of the session on the Dow Jones were Verizon Communications Inc., which rose 2.50% or 1.48 points to trade at 60.65 at the close. Meanwhile, Walgreens Boots Alliance Inc. added 2.23% or 1.82 points to end at 83.52 and Home Depot Inc. was up 2.00% or 3.40 points to 173.22 in late trade. The worst performers of the session were United Technologies Corporation, which fell 4.14% or 5.30 points to trade at 122.68 at the close. Nike Inc. declined 0.85% or 0.62 points to end at 72.09 and DowDuPont Inc. was down 0.83% or 0.48 points to 57.18. The tech heacy NASDAQ index added 0.01%. The top performers on the NASDAQ were Arsanis Inc. which rose 255.17% to 4.12, Wins Finance Holdings Inc. which was up 33.82% to settle at 34.79 and Aethlon Medical Inc. which gained 25.64% to close at 1.470. The worst performers were Ferroglobe PLC which was down 62.26% to 1.80 in late trade, Smaaash Entertainment Inc. which lost 40.11% to settle at 3.30 and Intellipharmaceutics International Inc. which was down 39.70% to 0.340 at the close. Oil prices turned firmly lower during midday trading yesterday. Crude futures were little changed earlier in the session, depressed by a report of record Saudi production but supported by expectations that oil exporters would agree to cut output at an OPEC meeting next week. U.S West Texas Intermediate crude fell 2 cents to $51.61. In the previous session, WTI fell to $50.10, its lowest level since mid-October 2017. Oil prices have lost almost a third of their value since early October, weighed down by an emerging supply overhang and widespread financial market weakness. 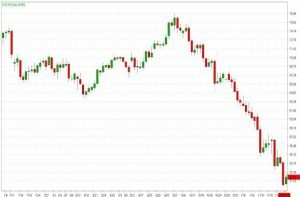 Prices rallied sharply on Monday, with Brent rising almost 2.9 percent, but the market has struggled to stay positive. Leaders of the Group of 20 nations, the world’s biggest economies, meet on Nov. 30 and Dec. 1, with the trade war between Washington and Beijing top of the agenda. With the top three crude producers — Russia, the United States and Saudi Arabia — all present, oil policy is expected to be discussed. Gold fell to its lowest in more than a week yesterday as the dollar rallied after comments from U.S. Federal Reserve vice Chair Richard Clarida bolstered expectations that the central bank would continue hiking interest rates. Spot gold fell 0.6 percent to $1,214.71 per ounce, after touching its lowest since Nov. 16 at $1,213.94. U.S gold futures dropped 0.7 percent to $1,214.50 an ounce. Most of those comments from Fed officials so far have been along the lines of continuing along the path of current rate hikes, certainly some of those comments have supported the dollar and pressured gold. The dollar gained after Clarida said the central bank should continue to gradually raise interest rates, but it is “especially important” to closely monitor new economic data as monetary policy is getting close to a neutral stance. Clarida softened gold with body blows and the stronger dollar on the back of consumer confidence (data) just delivered a left hook. I think gold will be dependent on the dollar for rest of day, and we could see a bounce if the dollar retraces. Higher interest rates tend to boost the dollar, making the gold more expensive for holders of other currencies. In a separate interview, St. Louis Fed President James Bullard said the central bank may face a year of difficult decisions, with rates still low by historic standards but growth ebbing. Meanwhile, investors are also racing for position going into the G20 summit. Ahead of a meeting with Chinese President Xi Jinping at the summit in Argentina this week, U.S. President Donald Trump said that he was “highly unlikely” to accept China’s request to hold off from raising tariffs due to take effect on Jan. 1. The dollar has been the preferred safe haven this year as the U.S.-China trade war unfolded, thereby denting the appeal of bullion. Investors also awaited the minutes from the U.S. Fed’s meeting on Nov.7-8 for indications on the future path of rate hikes in 2019, while Fed Chairman Jerome Powell is due to speak today. Soybean futures fell about two per cent and neared a four-week low on Monday on chart-based selling and worries about export prospects for U.S supplies amid a trade war with China. The U.S Dollar rose against its rivals yesterday, shrugging off mostly bearish economic data, while a slump in the pound also lifted sentiment. The U.S dollar index, which measures the greenback against a trade-weighted basket of six major currencies, rose by 0.29% to 97.27. The S&P/Case-Shiller national house price index rose to a seasonally adjusted 0.3% in September, but rose just 5.1% compared to a year before, missing expectations for a 5.3% increase. The Conference Board’s consumer confidence gauge fell to a reading of 135.7 in November from 137.9 in last month, missing economists’ forecast for a reading of 135.9. Consumer sentiment is a leading indicator of consumer spending, which plays a major role in overall economic activity. The dollar was also swayed by remarks from Federal Reserve Vice Chairman Richard Clarida, who continued to back gradual rate hikes and said there were was no agreement on “how close” interest rates were to neutral. A slump in sterling helped the greenback hold gains after President Donald Trump said the Brexit agreement would hamper trade between the United States and Britain. Traders were also eyeing the Bank of England’s report on the economic impact of Brexit today. USD/JPY rose 0.17% to $113.78 as Wall Street rebounded from early-session weakness, reducing demand for safe-haven yen, even as White House chief economic advisor Larry Kudlow reportedly downplayed the prospect of U.S.-China trade deal at an upcoming G20 summit. The Canadian dollar edged lower against its U.S counterpart yesterday as concern about world trade tensions weighed on stocks and boosted the greenback. Canada exports many commodities, including oil, and runs a current account deficit, so its economy could be hurt if the global flow of trade or capital slows. The price of oil was supported by expectations that oil exporters would agree to cut output at an OPEC meeting next week. The single currency ceded ground to a resurgent Dollar, even after Italy’s government blinked in its budget standoff with the EU. The U.S Dollar on its front foot following President Donald Trump’s latest threats against China, and as markets grapple with a litany of political and economic risks looming over the Euro outlook. Overall, the EUR/USD traded with a low of 1.1275 and a high of 1.1342 before closing the day around 1.1285 in the New York session. 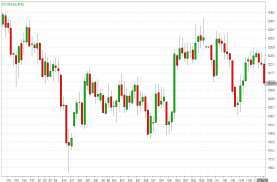 The Japanese Yen pair ticked higher yesterday. On the release front, Japanese SPPI ticked higher to 1.3%, above the estimate of 1.2%. It was a similar trend for BoJ Core CPI, the preferred inflation indicator for the Bank of Japan. The indicator edged higher to 0.6%, just above the forecast of 0.5%. This marked the highest level in seven months. Overall, the USD/JPY traded with a low of 113.39 and a high of 113.82 before closing the day around 113.77 in the U.S session. The British Pound fell against the U.S Dollar after currency markets ignored positive UK data in favor of Brexit fears. 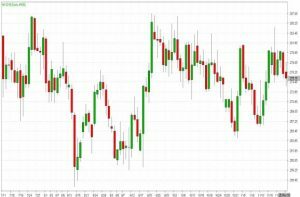 The CBI reported better retail trends in its Nov survey but sterling ignored the data and remains soft amid Brexit worries and following the verbal intervention of President Trump in the Brexit debate yesterday. 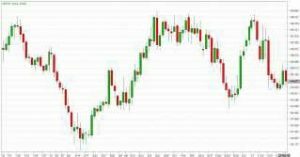 Overall, the GBP/USD traded with a low of 1.2723 and a high of 1.2817 before closing the day at 1.2744 in the New York session. The Canadian Dollar edged lower against its U.S counterpart yesterday as concern about world trade tensions weighed on stocks and boosted the greenback. The U.S. dollar rose to its highest level in almost two weeks against its major rivals, after President Donald Trump said he would push ahead with tariffs on Chinese goods. Overall, USD/CAD traded with a low of 1.3233 and a high of 1.3326 before closing the day at 1.3294 in the New York session. The Australian Dollar stabilized following an overnight slump yesterday but the outlook is growing more uncertain because commodity price headwinds are now returning to haunt the currency. Iron ore fell by 6% overnight in China, with the hard commodity now in bear market territory, dragging the Aussie down with it. Overall, AUD/USD traded with a low of 0.7197 and a high of 0.7267 before closing the day at 0.7224 in the New York session. EUR/JPY is trading below 14, 50 and 100 days moving average. Fast stochastic is giving a bearish tone and MACD is issuing a bullish stance. The Relative Strength Index is above 46 and lies below the neutral zone. In general, the pair has lost 0.18%. Currently, GBP/JPY is trading below 14, 50 and 100 days moving average. Fast stochastic is issuing a bearish tone and MACD is indicating a bullish stance. The Relative Strength Index is above 44 reading and lies below the neutral zone. On the whole, the pair has lost 0.29%. Currently, the cross is trading above 14, 50 and 100 days moving average. Fast stochastic is giving a bullish tone and MACD is also indicating a bullish stance. The Relative Strength Index is above 55 reading and lies above the neutral region. In general, the pair has gained 0.24%. This cross is currently trading above 14, 50 and below 100 days moving average. Fast stochastic is indicating a bullish tone and MACD is also issuing a bearish signal. The Relative Strength Index is above 55 and lies above the neutral region. On the whole, the pair has gained 0.21%. This cross is trading below 14, 50 and 100 days moving average. Fast stochastic is issuing a bearish stance and MACD is also indicating a bearish tone. The Relative Strength Index is above 38 and lies below the neutral region. In general, the pair has lost 0.48%. The Dollar inched down yesterday amid geopolitical tensions as investors pause ahead of a planned meeting between U.S.-China leaders later this week. The U.S dollar index, which measures the greenback’s strength against a basket of six major currencies, was down 0.04% to 96.785, retreating from one-week highs of 96.96 reached overnight. Trade worries weighed on the greenback, as investors wait for the G20 summit in Argentina on Friday. U.S President Donald Trump and Chinese President Xi Jinping are expected to meet on the sidelines to discuss a possible trade deal. The euro pared back earlier gains the dollar, with EUR/USD rising 0.12% to 1.1350, boosted by news that disagreements between Rome and Europe could be resolved. Italian Deputy Prime Minister Matteo Salvini indicated that his government could lower its borrowing targets, which the European Commission had said is against EU fiscal rules. 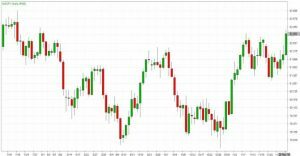 Broader optimism over the euro was also reflected in the latest weekly positioning data, where long dollar positions have been declining slightly for the week ending November 16. The pound was also higher, with GBP/USD up 0.20% to 1.2839. On Sunday, EU leaders approved the terms of the UK’s withdrawal from the bloc, the Brexit deal will have to pass a vote in the British parliament in early December. The dollar was higher against the safe-haven Japanese yen, with USD/JPY rising 0.41% to 113.43. In times of uncertainty, investors tend to invest in the Japanese yen, which is considered a safe asset during periods of risk aversion. The Canadian dollar strengthened against its U.S. counterpart on Monday, paring some of last week’s decline, as oil prices and stocks rallied. Stocks were boosted by robust sales in the holiday season, after a steep selloff on Wall Street in the previous session. Canada exports many commodities, including oil, and runs a current account deficit, so its economy could benefit from an improved outlook for the global flow of trade or capital. The price of oil recovered some of the previous session’s near-7 per cent fall. U.S crude prices were up 2.7 per cent at $51.77 a barrel. The loonie gained despite a report that General Motors Co. plans to announce it will significantly cut car production in North America and stop building some low-selling car models. The single currency gained against the dollar on signs that Italy may cut its budget deficit target to satisfy the European Union, and as a rebound in oil prices helped to improve risk sentiment. The Euro gained despite data showing that German business morale fell by more than expected in November as the country’s exporters get caught up in a trade dispute. 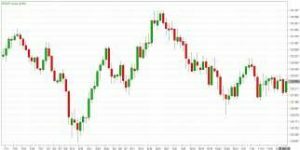 Overall, the EUR/USD traded with a low of 1.1323 and a high of 1.1382 before closing the day around 1.1326 in the New York session. The Japanese Yen pair ticked higher yesterday. On the release front, Japanese Flash Manufacturing PMI dipped to 51.8, shy of the estimate of 53.0. This marked a 4-month low. There were no U.S indicators on the schedule. Today, Japan releases BoJ Core CPI, the preferred inflation indicator of the Bank of Japan. Overall, the USD/JPY traded with a low of 112.86 and a high of 113.63 before closing the day around 113.56 in the U.S session. The British Pound steadied after Britain sealed a deal with the European Union on quitting the bloc, with the currency’s gains curbed by doubts about whether Prime Minister Theresa May can get the agreement through a divided parliament. Sterling traders are focused on a parliamentary vote on the deal likely to take place in mid-December. 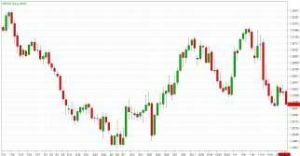 Overall, the GBP/USD traded with a low of 1.2794 and a high of 1.2862 before closing the day at 1.2807 in the New York session. The Canadian Dollar strengthened against its U.S counterpart yesterday, paring some of last week’s decline, as oil prices and stocks rallied. Canada exports many commodities, including oil, and runs a current account deficit, so its economy could benefit from an improved outlook for the global flow of trade or capital. 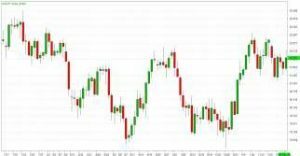 Overall, USD/CAD traded with a low of 1.3184 and a high of 1.3259 before closing the day at 1.3251 in the New York session. The Australian Dollar traded higher earlier in the session yesterday but ended the day slightly lower as the RBA described a deteriorating property market. The local currency last Friday has eased and was on track for its worst weekly performances since early October as a global sell-off in equities took the shine off risk assets. The Australian dollar, often traded as a liquid proxy for global trade prospects. 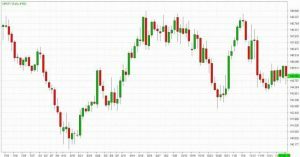 Overall, AUD/USD traded with a low of 0.7222 and a high of 0.7274 before closing the day at 0.7224 in the New York session. EUR/JPY is trading below 14, 50 and 100 days moving average. Fast stochastic is giving a bearish tone and MACD is issuing a bullish stance. The Relative Strength Index is above 48 and lies below the neutral zone. In general, the pair has gained 0.53%. Currently, GBP/JPY is trading below 14, 50 and 100 days moving average. Fast stochastic is issuing a bearish tone and MACD is indicating a bullish stance. The Relative Strength Index is above 47 reading and lies below the neutral zone. On the whole, the pair has gained 0.53%. Currently, the cross is trading above 14, 50 and 100 days moving average. Fast stochastic is giving a bullish tone and MACD is also indicating a bullish stance. The Relative Strength Index is above 54 reading and lies above the neutral region. In general, the pair has gained 0.41%. This cross is currently trading above 14, 50 and below 100 days moving average. Fast stochastic is indicating a bullish tone and MACD is also issuing a bearish signal. The Relative Strength Index is above 51 and lies above the neutral region. On the whole, the pair has lost 0.02%. This cross is trading above 14 and below 50, 100 days moving average. Fast stochastic is issuing a bearish stance and MACD is also indicating a bearish tone. The Relative Strength Index is above 43 and lies above the neutral region. In general, the pair has gained 0.04%. U.S stocks rallied yesterday as oil prices and global equities gained ground on a day that is arguably one of the most important for retailers as shoppers go hunting for deals on Cyber Monday. 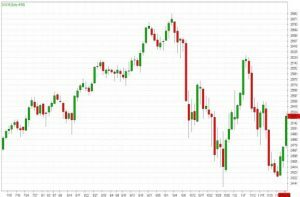 The Dow Jones Industrial Average climbed 278 points, or 1.2%, while the S&P 500 index rose 30 points, or 1.1%. 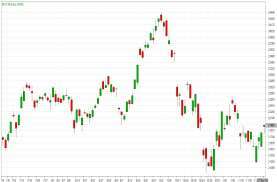 The NASDAQ rallied 96 points, or 1.4%. 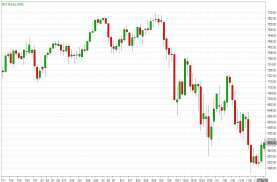 Last week, the NASDAQ tumbled 4.3%, the Dow ended the week 4.4% lower, while the S&P 500 notched a week-on-week decline of 3.8%, marking the worst Thanksgiving week since 2011 for all three U.S indexes. Losses for oil prices pushed stocks lower last week, and the reverse was true for yesterday. After losing 7.7% in Friday’s session alone, U.S crude futures rose more than 2% to trade above $51 a barrel, while Brent crude jumped nearly 3% to above $60. The retail industry was in focus as investors digested initial data on consumers’ willingness to spend this holiday season after shoppers began deal-hunting in earnest ahead of the holidays. The Dow Jones Industrial Average gained 1.46%. 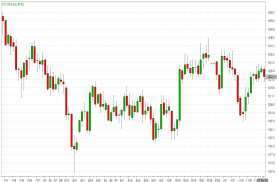 The best performers of the session on the Dow Jones Industrial Average were American Express Company, which rose 3.73% or 3.94 points to trade at 109.68 at the close. 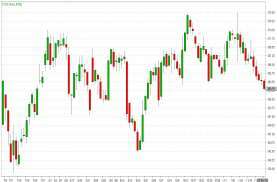 Meanwhile, Microsoft Corporation added 3.30% or 3.40 points to end at 106.47 and The Travelers Companies Inc. was up 2.95% or 3.74 points to 130.34 in late trade. The worst performers of the session were United Technologies Corporation, which fell 0.82% or 1.06 points to trade at 127.98 at the close. Coca-Cola Company declined 0.31% or 0.15 points to end at 48.87 and Johnson & Johnson was up 0.03% or 0.04 points to 141.37. The NASDAQ index gained 2.06%. The top performers on the NASDAQ Composite were Tyme Technologies Inc. which rose 30.23% to 2.80, Safe-T Group Ltd ADR which was up 29.18% to settle at 5.8000 and Adial Pharmaceuticals Inc. which gained 24.81% to close at 1.66. The worst performers were Zafgen Inc. which was down 40.55% to 5.41 in late trade, Mercantil Bank Holding Corp which lost 22.58% to settle at 12.00 and Tenax Therapeutics Inc. which was down 19.69% to 2.610 at the close. Oil rose yesterday, recovering some of the previous session’s sharp fall, although uncertainty over global economic growth limited the gains. U.S crude futures were up $1.25, or 2.5 percent, at $51.67 a barrel. The gains partly made up for Friday’s 7.7 percent drop. Prices on Friday hit their lowest since October 2017 amid intensifying fears of a supply glut. Supporting oil prices, U.S stock markets broadly rallied as Cyber Monday, the largest online shopping day of the year, began. Crude futures at times track with the equities market. Prices found some support as crude stockpiles at the U.S. hub of Cushing, Oklahoma, rose just 126 barrels from Tuesday to Friday, traders said, citing a report from market intelligence firm Genscape. However, demand concerns and record output from Saudi Arabia limited Monday’s rebound. Saudi crude oil production hit 11.1-11.3 million bpd in November, an all-time high. Gold firmed yesterday, supported by uncertainty over the future pace of U.S interest rate hikes and the outcome of the G20 summit later this week when global leaders will focus on trade tensions. Spot gold was mostly unchanged at $1,222.70 per ounce. U.S gold futures were steady at $1,222.20 per ounce. U.S President Donald Trump and his Chinese counterpart Xi Jinping are expected to discuss their trade dispute at the G20 summit in Argentina, which begins on Friday. If Trump and Xi can’t come to an agreement at the G20 meeting, I think there will be a pause in the U.S Federal Reserve’s rate increases next year, which in turn will help gold prices go higher. 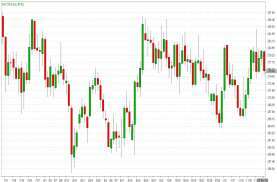 Uncertainties related to Brexit and Italy are also helping build a base for gold, which was helped by a slight retreat in the dollar earlier in the session, he added. The euro gained against the dollar on signs Italy may cut its budget deficit target to satisfy the European Union, while the sterling rose after the EU and Britain sealed a Brexit deal. Analysts remain cautious, however, as the Brexit deal faces stiff opposition in the British parliament. Gold’s direction in the near term would be determined by moves in the greenback, which could be pressured if the Fed takes a more cautious approach to future policy tightening amid concern of an economic slowdown next year, analysts said. The metal could be in for a sizeable drop should support at $1,220 break, in which case a return back down to the next support at $1,205 would become likely. With the 10-year U.S bond yields on the rise again, this may support the greenback and simultaneously prevent gold from going higher. Gold prices have lost about 10 percent from their April peak and are down 6 percent so far this year. Speculators increased their net short positions in Comex gold and silver contracts in the week to Nov. 13. Among other precious metals, silver was steady at $14.23 an ounce and platinum rose 0.3 percent to $840.99. Soybean futures fell more than 2 percent and neared a four-week low yesterday on chart-based selling and worries about export prospects for U.S supplies amid a trade war with China. Corn futures followed soybeans lower. But wheat futures rose. The biggest story last week was the meltdown in equities that spilled over to currencies. U.S stocks turned negative for the year after erasing all of its gains. This is significant because less than 2 months ago, the S&P 500 was up about 9%. It lost all of that in a matter of a month, recovered briefly and is now back in the red. As a result risk aversion drove all of the major currencies lower against the U.S. dollar. 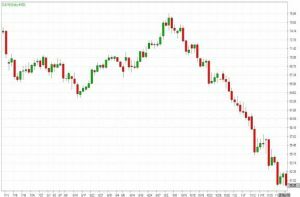 The Canadian dollar was hit the hardest although a large part of that had to do with the decline in oil prices. The Japanese Yen and Swiss Franc were the best performers, which is natural under a risk averse environment while the Australian and New Zealand dollars were the worst. Looking ahead, the last week of November brings a renewed focus on Brexit and trade in the lead up to the EU’s Brexit summit and the G20 meeting. There’s also data on the calendar that could be market moving including Germany’s IFO and unemployment reports, the U.S’ confidence, trade, personal income, personal spending, Q3 GDP revisions, the Fed minutes, New Zealand’s trade balance and Chinese PMIs. 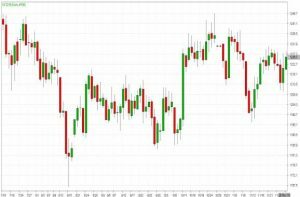 Earlier in the week, sterling popped after Prime Minister May managed to secure a deal with the European Union but the agreement does not resolve many of the major issues that put the deal at risk. For the EU, Gibraltar, the Irish backstop and fishing rights are lingering problems that could scuttle the deal. Spain made it clear that they will reject any agreement that leaves them out out of talks involving the status of Gibraltar. Now the UK needs a majority (not all) of the 27 member states to support the agreement but given Spain’s role, the agreement will most likely be amended which could lead to further back and forth to satisfy their concerns. Meanwhile Italy’s troubles continue to plague the euro which fell to fresh lows against the greenback. Last week, the European Commission opened disciplinary measures against Italy for refusing to submit a budget proposal that complies with their rules. EU member states have 2 weeks to agree with the EC’s decision to begin the Excessive Deficit Procedure (EDP) and if they do, the EC will give Italy the opportunity to prepare a response on how they will rein their deficit in and bring it back into compliance with EU rules. Last but not least, the Canadian dollar has been hit hard by the decline in oil prices. Since peaking in the beginning of October, the price of crude has fallen more than 30% with prices dropping to a fresh 1 year low last week. The single currency slumped half a percent in Friday’s trading session on signs that economic growth could be slowing across the euro zone with worries about Brexit and Italy’s budget negotiations also weighing on the single currency. Business growth in the euro zone slowed much faster than expected this month. 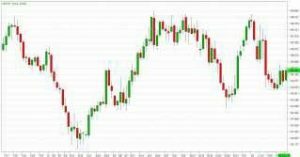 Overall, the EUR/USD traded with a low of 1.1326 and a high of 1.1419 before closing the day around 1.1333 in the New York session. 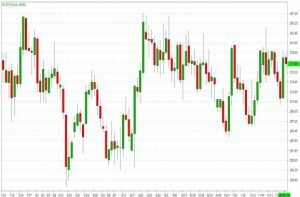 The Japanese Yen pair put in a mixed performance last week before closing higher. 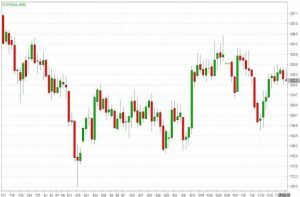 The price action was a little skewed last week due to thin trading conditions because of bank holidays in the United States and Japan. 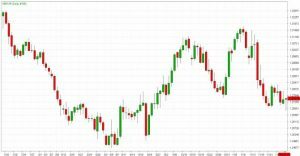 The Forex pair started the week under pressure as investors continued to react to relatively flat U.S consumer inflation data. Overall, the USD/JPY traded with a low of 112.64 and a high of 112.99 before closing the day around 112.90 in the U.S session. The British Pound fell sharply against the U.S Dollar on Friday. 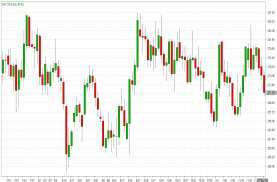 The British Pound recovered some lost ground against the Euro ahead of the Sunday meeting of EU leaders in the wake of news the UK and the European Commissions had agreed a text on the Political Declaration on future trade negotiations. Overall, the GBP/USD traded with a low of 1.2796 and a high of 1.2880 before closing the day at 1.2812 in the New York session. The Canadian Dollar weakened on Friday, as a further slide in the price of oil offset domestic data showing above-target inflation and increased retail sales. Canada’s annual inflation rate remained above the central bank’s target of 2 per cent for the ninth straight month in October and retail trade volumes climbed 0.5 per cent in September, data showed. 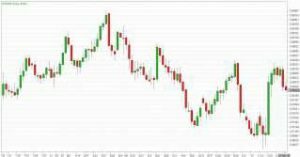 Overall, USD/CAD traded with a low of 1.3182 and a high of 1.3256 before closing the day at 1.3232 in the New York session. 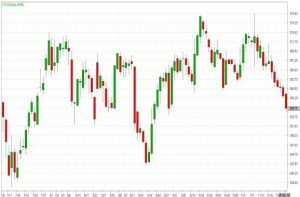 The Australian Dollar has eased and is on track for its worst weekly performances since early October as a global sell-off in equities took the shine off risk assets. It was down more than one per cent last week. 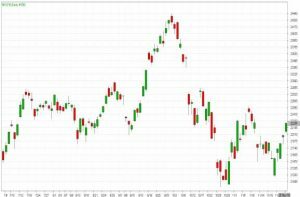 The losses coincided with a global share rout as investors fretted about a possible slowdown in world growth amid policy tightening in the United States and the bitter Sino-US trade war. 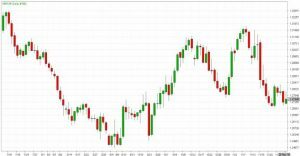 Overall, AUD/USD traded with a low of 0.7216 and a high of 0.7255 before closing the day at 0.7230 in the New York session. EUR/JPY is trading below 14, 50 and 100 days moving average. Fast stochastic is giving a bearish tone and MACD is issuing a bullish stance. The Relative Strength Index is above 42 and lies below the neutral zone. In general, the pair has lost 0.64%. Currently, GBP/JPY is trading below 14, 50 and 100 days moving average. Fast stochastic is issuing a bearish tone and MACD is indicating a bullish stance. The Relative Strength Index is above 43 reading and lies below the neutral zone. On the whole, the pair has lost 0.51%. Currently, the cross is trading above 14, 50 and 100 days moving average. Fast stochastic is giving a bullish tone and MACD is also indicating a bullish stance. The Relative Strength Index is above 51 reading and lies above the neutral region. In general, the pair has lost 0.31%. This cross is currently trading above 14, 50 and below 100 days moving average. Fast stochastic is indicating a bullish tone and MACD is also issuing a bearish signal. The Relative Strength Index is above 52 and lies above the neutral region. On the whole, the pair has lost 0.12%. This cross is trading above 14 and below 50, 100 days moving average. Fast stochastic is issuing a bearish stance and MACD is also indicating a bearish tone. The Relative Strength Index is above 42 and lies above the neutral region. In general, the pair has lost 0.28%. U.S stocks fell on Friday as oil prices plunged to their lowest in more than a year, dragging down energy shares, while U.S-China trade talks at the G20 summit next week kept investors on edge in a truncated trading session. Benchmark Brent crude was down more than 6 percent on mounting concerns over rising global surplus, even as producers considered cutting output to curb supply. Oil majors Exxon Mobil Corp and Chevron Corp fell more than 3 percent and were the leading decliners on the Dow Jones Industrial Average. Oilfield service providers Schlumberger NV and Halliburton Co also fell nearly 3 percent. That pressured the S&P energy index, which fell 3.4 percent, the most among the 11 major S&P sectors. 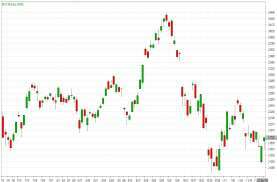 The energy sector has lost 16.5 percent since the beginning of October, making it the worst performing S&P sector during the period and putting it on pace for its biggest two-month drop since September 2011. Investors will be focusing on the G20 summit in Buenos Aires, where U.S President Donald Trump and his Chinese counterpart Xi Jinping are expected to hold talks. 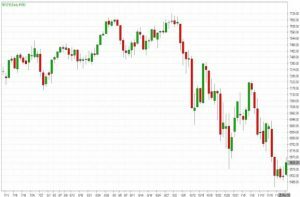 The Dow Jones Industrial Average fell for the fourth consecutive session on Friday. The Dow fell .73%, or 179 points. Shares of beleaguered social media company Snap Inc. fell 2.2% on Friday after rising more than 4% Wednesday on reports that the company was making it easier for businesses to create augmented reality lenses designed for the site. General Electric Co. was also declining Friday after getting a small reprieve Wednesday on reports that the company has set up $41 billion in credit lines from dozens of banks. GE shares fell 3.2%. The slide downward came after a post-Thanksgiving slump in pre-market trading that followed an underwhelming opening. The tech heavy NASDAQ pushed further into correction territory as markets add to their year-to-date losses. The major indices started trading in the red for the year this week after spending most of 2018 in positive territory. The NASDAQA fell .48% on Friday. Apple Inc. was down 2.54% to $172.29; Facebook was down 2.29% to $131.73 and Intel and Microsoft also slumped. Oil prices slumped up to nearly 8 percent to the lowest in more than a year on Friday, posting the seventh consecutive weekly loss, amid intensifying fears of a supply glut even as major producers consider cutting output. Oil supply, led by U.S producers, is growing faster than demand and to prevent a build-up of unused fuel such as the one that emerged in 2015, the Organization of the Petroleum Exporting Countries is expected to start trimming output after a meeting on Dec. 6. But this has done little so far to prop up prices, which have dropped more than 20 percent so far in November, in a seven-week streak of losses. Prices were on course for their biggest one-month decline since late 2014. A trade war between the world’s two biggest economies and oil consumers, the United States and China, has weighed upon the market. U.S oil lost $4.21, or 7.7 percent, to trade at $50.42, also the weakest since October 2017. In post-settlement trade, the contract continued to fall. For the week, WTI posted a 10.8 percent decline. Gold prices slipped on Friday as investors banked on the safety of the dollar over worries about a slowdown in the global economy, exacerbated by a sharp decline in oil prices. Spot gold fell 0.32 percent to $1,222.74 per ounce, while U.S gold futures for December delivery were down 0.39 percent to $1,223.10 per ounce. The dollar index is up and we are waiting for the U.S Federal Reserve this week, with Chairman Jerome Powell speaking. We expect he will be on course to continue with the interest rate hike in December. Prospects of higher U.S interest rates are negative for dollar-priced gold as they raise the opportunity cost of holding bullion. Crude prices are down and that pulls down the buying power of commodity accounts, so people are not buying gold. The dollar was on track to notch its biggest weekly percentage increase in a month, as markets were rattled by a steep drop in oil prices that suggested global growth is slowing. 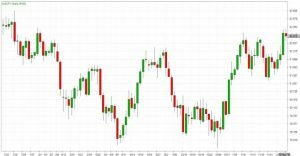 The greenback also benefited from a retreat in the euro, which slumped half a percent following a Purchasing Managers Index (PMI) survey that showed business growth in the euro zone had slowed much faster than expected this month. Gold, a traditional safe store of value during times of political and economic uncertainty, has lost out to the dollar this year, with the metal having fallen more than 10 percent from a peak in April against the backdrop of a U.S-China trade tussle. As far as gold is concerned, the dollar has become the more important driver for prices this year and that trend remains in place. Gold market participants have now turned eyes towards a G20 summit in Argentina at the end of the month, where leaders from the United States and China are expected to hold talks. Investors’ reluctance to react to trade tensions casts uncertainty on gold, raising the question of when demand will return. Meanwhile, silver fell 1.45 percent to $14.27 per ounce. Wheat futures topped one-week highs on Friday on hopes for improved export demand after sales to Egypt, while corn and soybean futures slumped. Egypt’s state grain buyer, the General Authority for Supply Commodities, said it bought 240,000 tonnes of wheat in an international purchasing tender.